The United States: Hurricanes Harvey and Irma trimmed US economic activity in September, slowing manufacturing output. 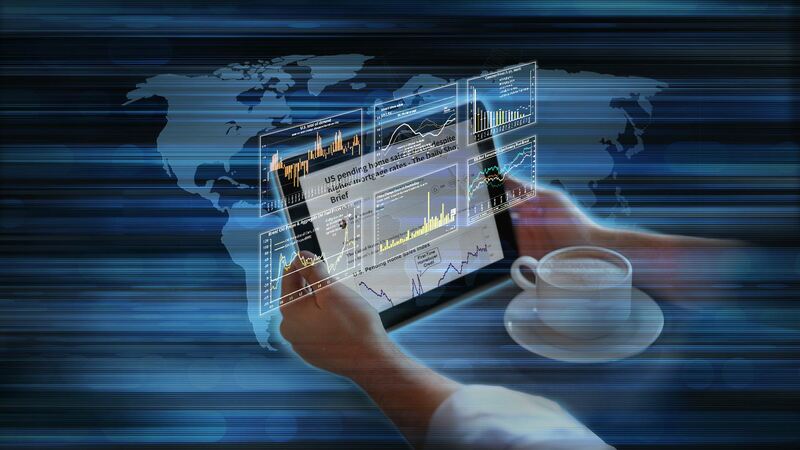 However, the nation’s economy remains resilient. Here is a comment from IHS Markit. 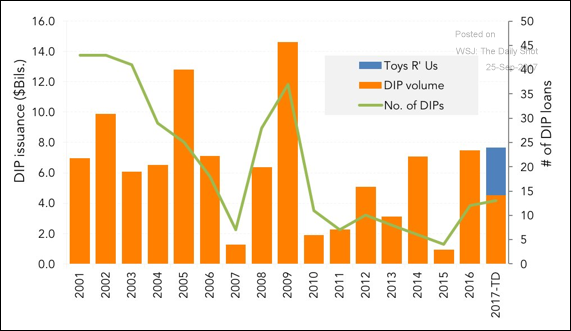 Credit: The Toys R Us filing has catapulted this year’s DIP financing to the highest level since 2009. 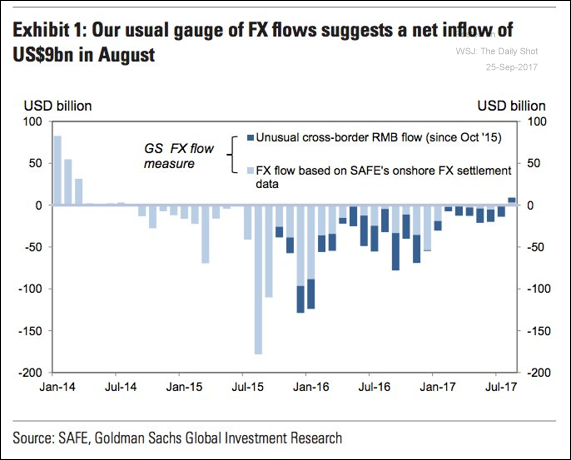 China: Goldman expects to see inflows in August – for the first time since 2014.
Commodities: The US protectionist move against Canada’s lumber hasn’t worked out as intended. 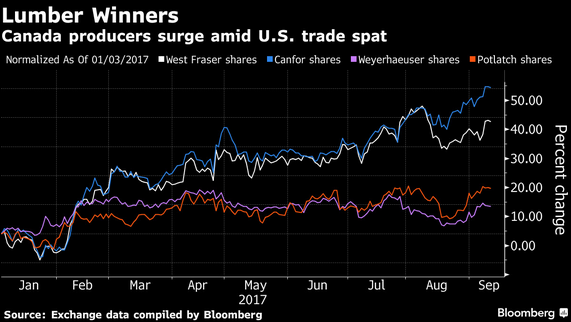 Lumber prices soared as Canadian firms pass the tariffs (and higher margins) to the buyers. New US homes will become more expensive. 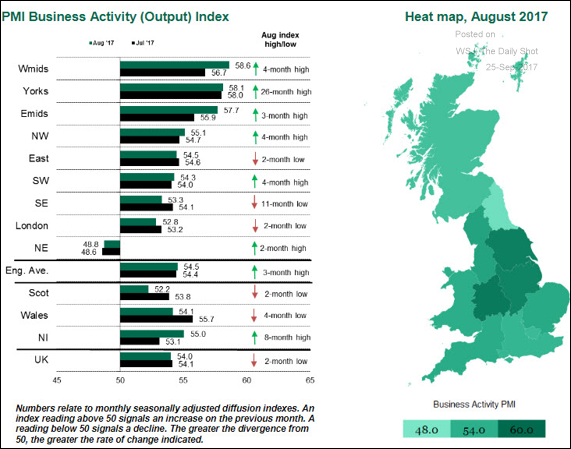 The United Kingdom: Here is the regional breakdown of UK’s economic activity. 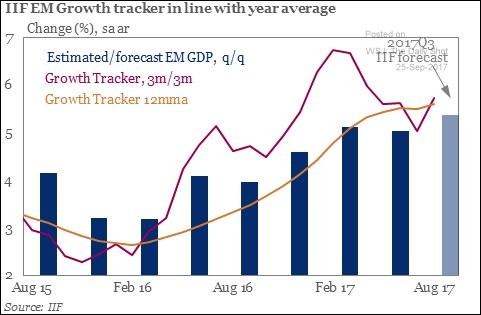 Emerging Markets: Economists are projecting a strong quarter for emerging markets’ economic growth. 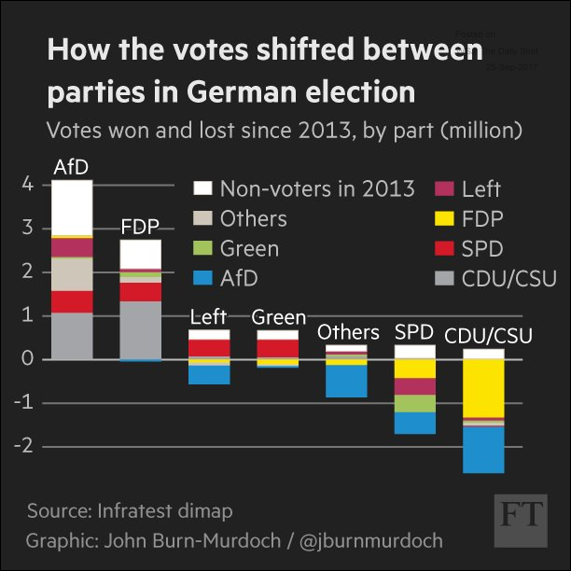 The Eurozone: Germany’s far-right party (Alternative for Germany) won nearly 13.5% of the vote. The traditional coalition, which has been in place for years, no longer has the votes to form a government. All of a sudden, Germany has some political uncertainty ahead – which is not great news for the euro. 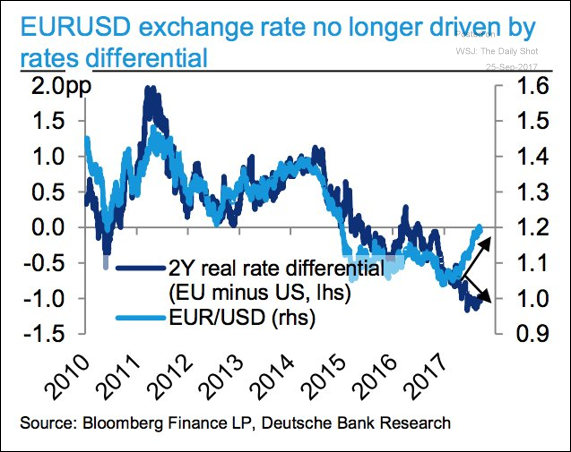 Will traders begin paying more attention to the rate differential between the Eurozone and the US? 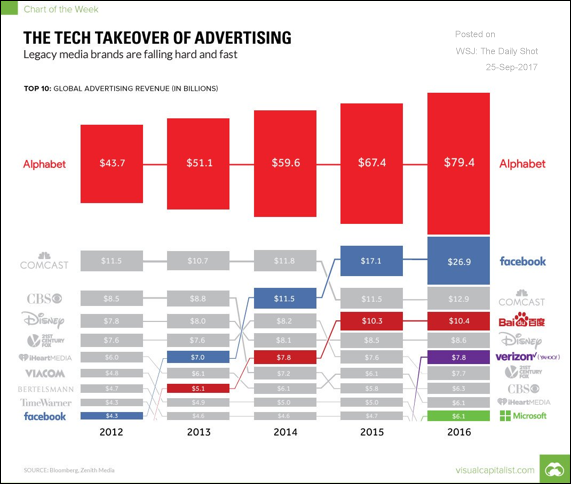 Food for Thought: Advertising revenue trends.